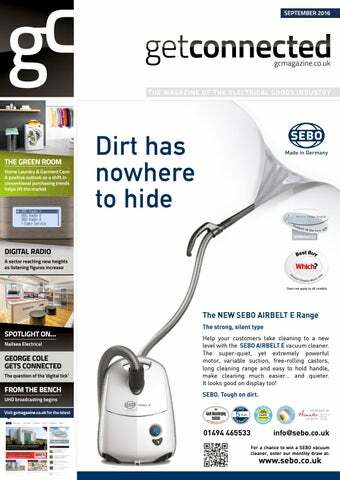 The strong, silent type Help your customers take cleaning to a new level with the SEBO AIRBELT E vacuum cleaner. The super-quiet, yet extremely powerful motor, variable suction, free-rolling castors, long cleaning range and easy to hold handle, make cleaning much easier… and quieter. It looks good on display too! SEBO. Tough on dirt. Bryan Berg Guinness World RecordsTM title holder for the tallest free-standing house of cards. No part of this publication may be reproduced, stored in a retrieval system or transmitted in any form or by any means, without the prior permission of the publisher. 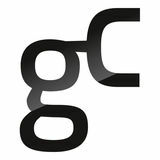 Get Connected is published by Mud Hut Publishing Ltd, Greyfriar Cottage, Winchester Road, Chawton, Alton, Hampshire GU34 1SB. Annual subscription rate (inc. postage): UK £88; Overseas £108. © Copyright 2016 Mud Hut Publishing Ltd. All rights reserved. Not all digital tick marks are equal…. COMMENT AS SUPPORTERS OF THE UK ELECTRICAL INDUSTRY, IT’S NEVER COMFORTABLE FOR US TO HAVE TO FOCUS ON ITS FAILINGS. HOWEVER, WHEN LIVES ARE AT STAKE AND THE INTEGRITY AND TRUSTWORTHINESS OF THE ENTIRE INDUSTRY IS BEING CHALLENGED, WE ARE PREPARED TO GRASP THE NETTLE. to customers. The debate points out that the existing advice is inadequate on two major counts. First, the owner of the Shepherd’s Bush tumble dryer followed it “to the letter”, being present at the time of the fire and taking prompt action to unplug it, pull it from the wall, close the door and swiftly leave the scene. Yet the disruption to 100 homes, danger to life, the deployment of twenty fire appliances and 120 firefighters, and the centre of Shepherd’s Bush being brought to a standstill, still occurred. Second, Carolyn Harris, MP pointed out with some humour and, one suspects, some knowledge of Whirlpool’s brand marketing: “Perhaps it’s the domestic goddess in me that thinks that a white good that needs to be monitored while it is drying is really not much of a convenience and that it would be far easier to put the clothes on the line.” It’s a serious and well-made point about a fundamental reason why consumers buy domestic appliances. MPs also recounted personal experiences – as both consumers who own affected appliances, and as MPs – of the difficulty of communicating with Whirlpool UK’s MD Maurizio Pettorino. It was suggested that Whirlpool is trying to stay “under the radar” and minimise publicity whilst the problem is being dealt with. We should emphasise once again that this is not just Whirlpool’s problem, and if the company cannot, or will not, act in an acceptably timely manner to protect its customers from a potentially lethal product it’s sold to them for use in their homes, it should say so and involve the entire industry in an effective solution. Will it happen? Clearly, the Government is not minded to take the initiative. Andy Slaughter said the Minister had already responded to his earlier inquiry in Question Time that same day by asserting the UK has “an effective system of product recall.” It also emerged from the Under Secretary for State that the “industry led” steering group set up to look into product safety recall have “set themselves a timeline of reporting within two years.” So don’t expect urgency there. It’s up to the UK White Goods industry to act. The reputation of a multi-billion pound business is at stake, and no-one in it is immune from public loss of confidence. consumer confidence improved in August but remained well below post-Brexit levels after posting the sharpest drop in 26 years during July. GfK’s Consumer Confidence Index increased by five points to -7 during the month, with all five measures used to calculate the Index increasing. “The rise in confidence has been driven by good news from hard data," the analyst said, citing a combination of low interest rates, falling prices and high levels of employment. "We're reporting some recovery in the Index this month as consumers settle into the new wait-and-see reality of a post-Brexit, pre-exit UK,” said Joe Staton, Head of Market Dynamics at GfK. Positive growth across the measures included a jump of nine points to +7 in the Major Purchase Index, which GfK said reflected strong retail figures. The Savings Index, however, posted a remarkable 16-point collapse, down from +1 in July to -15.
ohn Lewis has confirmed speculation that Managing Director Andy Street is to run for the office of the Mayor of the West Midlands. The retailer said that Street has “indicated” to John Lewis Chairman Charlie Mayfield that he is interested in running for the office, but at this stage has not been formally selected. If successful in his application he will step down from his role as MD, which he has held since 2007.
hop prices continued to fall in August, down by 2.0% following a 1.6% drop in July. Figures released by the BRC and Nielsen showed that non-food deflation accelerated to 2.5% from 2.2% in July, while food deflation accelerated to a record low, down 1.1% in August from 0.8% in the previous two months. "Competition for discretionary spend is likely to intensify as we head towards the end of the year, so retailers will be keen to keep prices low and promotions sharp," said Mike Watkins, Head of Retailer and Business Insight at Nielsen. ixons Carphone reported year-on-year revenue up 9% for the first quarter of its financial year, with like-for-like sales up 4%. For the 13 weeks ended 30 July 2016, the group reported a strong performance in the UK & Ireland with 4% like-for-like growth. Sales in the Nordics rose 2% on a like-for-like basis and in Southern Europe by 13%, driven by strong growth in Greece. The company said it continued see market share gains. Designed to suit your kitchen style, these fridges come with clean, smooth ultra flat doors and ActiveSmartâ&#x201E;¢ foodcare to keep food fresher for longer. ways to improve our customers’ satisfaction. In the unusual event of a dispute not being resolved inhouse, we believe the Consumer Ombudsman can provide a fair outcome and bring peace of mind to both parties.’’ The role of Ombudsman Services is to investigate complaints fairly by taking into account both sides of the dispute and making a recommendation on any action that should be taken to resolve the complaint. Companies using the scheme agree to provide the necessary information and to abide by the Ombudsman’s decision. lovenian appliance manufacturer Gorenje posted a net profit of €2.1 million for the first half of 2016 following a loss of €6.9 million in the same period last year. Revenue rose from €557.8 million to €581.3 million. The company said that sales in Eastern Europe grew by 10.6%, while in Western Europe 5.1% growth was achieved. Sales in the markets outside of Europe declined by 1.6%. In July this year, Gorenje announced that it would allow Panasonic Corporation, which holds a 10.74% stake in the company, to perform due diligence, stating that it may lead to Panasonic's decision to launch a bid to increase its shareholding. Among the conditions for the execution of due diligence, the company said that both parties also agreed on the strategic guidelines for the future role of Gorenje within the Panasonic Group, should Panasonic obtain effective control of Gorenje. estel has announced a brand licensing agreement with Toshiba Visual Solutions Corporation, which will give the Turkish manufacturer responsibility for the production, sales, marketing and supply chain functions for Toshiba-branded TVs in the European market. Toshiba announced plans early last year to licence its TV business in global markets as part of the business’s restructuring. Vestel said the partnership will build on years of collaboration between the two companies and the proven success which has enabled Toshiba to deliver quality products and a high reputation in European countries during past years. The two businesses have outlined ambitious growth plans for the European consumer TV market with aims to exceed Toshiba's previous market position. Toshiba will be positioned as Vestel’s premier TV brand for Europe. along with a museum and showroom celebrating TANNOY’s 90-year heritage. Uli Behringer, head of MUSIC, said: "We are excited about the future of TANNOY and we believe we have developed a sound strategic direction to protect its rich history and heritage. “TANNOY was facing great economic pressures and we believe that our plan will ensure the longevity of the brand. We are planning to relocate manufacturing to a new plant in Scotland which will deliver modernised and streamlined operations while continuing our involvement in local communities, providing employment in the region. “This will secure TANNOY to remain a serious competitor in the high-end residential marketplace." import and export markets. Rhys Evans, Sales Director UK & Ireland for V-ZUG UK, said: “As a Swiss Manufacturer, we naturally sit outside of the EU so we have no immediate plans to alter our successful business model of designated independent kitchen retailers, high-end developers and specifiers. Spectrum Brands has appointed Paul Clarke to the position of sales and marketing director for its UK batteries and hardware division, which includes VARTA Consumer Batteries. Whirlpool UK has announced the appointment of Jim McEwan as Sales Director, MultiChannel Customers, and Nick Hughes as Sales Director, Developing Business. The move follows James Goldsmith’s promotion to Managing Director KitchenAid SDA EMEA and is another step in the integration of Whirlpool Corporation and Indesit Company in the UK. Smeg UK has added to its sales team with the appointment of Simon Starkie as Head of Retail – South. He succeeds Matt Balm, who has taken on the role of Head of National Accounts. Hisense UK has appointed former Google UK Retail Operations Manager Arun Bhatoye to the role of Senior Marketing Manager. exacting consumer demands.” The appliances will be available in a choice of matte black or stainless steel finishes to match Haier’s refrigerators. SHORTCUTS Indesit has partnered with laundry detergent brand Ariel to offer consumers a free six-month supply of 3in1 pods with selected Innex appliance purchases. The promotion runs until 19th October. Battery manufacturer VARTA has launched its first UK media campaign to raise awareness of the brand during the autumn/winter season. A five-month TV sponsorship package, out-of-home advertising and mobile advertising will support the ‘Powering the Moment’ campaign, which will air across property and DIY programmes on Discovery Network’s Home and Health, Quest, Shed and Animal Planet channels, reaching 4.9 million adults over the duration of the campaign. Baumatic has launched a preChristmas promotion offering a complimentary cocktail-making set with purchases of selected wine storage appliances in its range. It runs until the end of November 2016. Beko is back on TV with the launch of a new 10-week multi-channel campaign promoting the brand’s refreshed positioning as The Official Partner of Everyday. In the run up to Black Friday a series of five ads will run across Sky TV, digital platforms and social media, reaching 22 million people. A two-week radio campaign with talkSPORT will reach a further 2.8 million. Hotpoint has replaced Bosch as the sponsor of Channel 4’s Sunday Brunch in a deal that will see the brand use idents to showcase its new built-in cooking collection. Product placement on set and a licence that allows Hotpoint to use the Sunday Brunch logo on its digital platforms is also part of the package. The £20,000 Community Kitchens campaign launched in 2015 by Stoves has reopened and nominations are being accepted via the Stoves website. The campaign aims to place the kitchen at the heart of communities by helping local charities to transform their kitchen facilities. Independent sales agency Big Red Sales has revamped its website, making it fully responsive for portable smart devices. The update incorporates a number of useful new features, refreshed text and clearer signposting, and a News section containing highlights of press coverage obtained by the company. eff revealed the winners of its 2016 MasterPartner® Design Competition at The Big Feastival in Oxfordshire at the end of August. Vidaco won the prize for Best Showroom; Development Direct (Scotland) for Best Kitchen Under £25,000; Butler Interiors for Best Kitchen Over £25,000; and Rugby Fitted Kitchens for Best Use of Social Media and Advertising. SH Home Appliances has won Domestic & General’s Total Excellence and Quality Award (TEQ) for the second year in succession, taking the title for the sixth time. An in-depth look at Bosch, Siemens and NEFF’s customer satisfaction resulted in an impressive 94.1% of customers rating BSH UK’s service as excellent or good following a repair visit from one of the company’s engineers. Over 95% of customers were satisfied with the telephone advisor assigned to them, and 97% were happy with the field service engineer who visited their home. Electronics started 2016 with a bang by stealing the show at CES 2016. Across multiple categories the Brand won 20 Innovation Awards and more than 50 from industry leading publications. The champion of that charge was LG’s award winning range of televisions: OLED TV. Not content with blowing the competition away last year LG has released four brand new series of OLED in 2016 with the hero models on show at the IFA conference in Berlin recently. One of the stars of the show within this heralded range is the E6, an innovation winner for Video Display at CES and a truly outstanding TV packed full of evolution. OLED technology revolutionised the industry, delivering a picture of unprecedented colour, contrast and clarity all in a 4K resolution. But now it gets even better with HDR 4K with Dolby Vision a truly new generation of picture quality to match a new generation of TV device. When something is shown in HDR, colours and contrast are enhanced so the picture is closer to your eyes’ full potential. OLED technology is the best partner for this process thanks to contrast levels that are unlike anything else available today. By providing the widest possible contrast range for HDR content, OLED HDR creates the most lifelike picture ever achieved. All of LG’s 2016 range of OLED TVs is certiﬁed with the Ultra HD Alliance Premium seal of approval. This means that the televisions are recognised for their superior standards of contrast, brightness and ability to showcase HDR content. Not only is it premium certiﬁed but it is also arriving to market with Dolby Vision HDR. Utilising Dolby’s experience within the Hollywood ﬁlm studios, LG’s OLED TVs are able to offer a new HDR viewing experience that will be featured in over 50 different Hollywood titles this year. Additionally, content providers Amazon Video, Netﬂix and more are already developing entertainment with this technology in mind, which upon its release can be accessed via LG’s award-winning Smart TV webOS. the wearying routine of washing to wearing: most can benefit greatly – more so than they may be aware – from the use of cleverly designed appliances incorporating technologies that make the job quicker and easier, thereby alleviating much of the hassle. Home laundry is an ongoing replacement market and, as such, it provides retailers with a great opportunity as behind every appliance there is a story to sell. The pressures of modern-day life mean that speed and convenience have become fundamental requirements for time-poor households and most are acutely aware of the need to bring resources and their associated costs under control. layout in flats and apartments; again, where space is an overriding issue. “Furthermore, continued investment in washer dryer technology has resulted in larger drum sizes and ensured that wash functions are as advanced as those found in regular washing machines. However, the game-changer across all manufacturers has been in terms of consumption; previously regarded as energy guzzlers, washer dryers are now highly energy and water efficient.” LG Electronics, which experienced continued year-on-year growth across all of its laundry categories in the first half of this year, also comments on the growing popularity of washer dryers. “In this period we saw our washer dryer sales increasing at a faster rate,” says Head of Brand Dawn Stockell. “This could be because of an increase in the number of new smaller urban living spaces where having a combined machine helps to save on limited space within the home.” It’s logical that washer dryers would be a sensible compromise for small homes, but Jamie Carboni, laundry category manager at Miele, believes that the uninterrupted washing and drying process is also an attractive proposition for larger households that want a convenient laundry care system – a trend which the German brand has picked up on and is now responding to with the introduction of a washer dryer range for the first time in October this year. 6 Motion Direct Drive appliances can perform complex and delicate wash cycles capable of mimicking hand washing. “This helps to reduce the usual wear and tear on garments sometimes inflicted by conventional washing machines, in turn allowing items to stay in better condition for longer and reducing clothing waste,” comments Stockell. Steam is also gaining recognition for garments that need delicate care. Electrolux’s Lisa Keogh, Product Manager for Fabric Care, maintains that the use of steam ensures garments are kept in excellent condition as it is much gentler on clothes. Steam helps the fibres in fabrics to relax, gently smoothing out wrinkles and creases. It is particularly suitable for refreshing clothes in tumble dryers and is a feature in heat pump dryers from the Electrolux brands, as well as major manufacturers such as LG and Miele, for example. Now, easy care programmes with general steaming are standard in all washing machines and tumble dryers from V-ZUG, Rhys Evans, UK & Ireland Sales Director for the brand advises. “These programmes fit in with consumers’ busy modern lifestyles by reducing the amount of time spent ironing.” he comments. AMICA WASHER DRYER COLLECTION Like all Amica laundry products above 7kg, this washer dryer features a 5-year warranty as standard. The washer dryer range from Amica also incorporates an 8kg and a 9kg model, and all three freestanding appliances offer an A-rated 30-minute wash and dry solution for busy households and operate at a quiet 58dB noise level during washing. All offer features such as Extra Rinse, Pre-Wash and an Anti-Allergic Rinse from a choice of 21 (9kg) or 15 (7kg and 8Kg) washing programmes. Drying functions include Cupboard Dry or Iron Dry settings, a timed 30-Minute dry, a Pause feature, Auto-Sensor and a Start Delay/Finish Time option. when it cannot be immediately removed from the machine at the end of the programme.” Macdonald says that, in addition to connectivity, one of the most popular features this model offers is Hoover’s ‘All in One’ wash technology. This enables users to wash a full load of whites and bright coloured fabrics together at the same time without the risk of colours running. Beko Laundry Product Manager Laura Selten draws on research showing that over 80% of washing machines sold last year had a capacity of 7kg or more. “This suggests that when homeowners are upgrading or replacing their appliances they are looking for a machine that can cope with larger loads, thereby allowing them to spend less time on the laundry each week.” She adds that Beko recently launched a 12kg washing machine which has the ability to wash up to five sets of bed linen in one go. “Washing machines with larger capacities are ideal for families with young and teenage children, as it helps them save time and energy by reducing the number of washes they need to run every week. With most families using their washing machine daily, efficient technology and specialist features can further reduce the time spent programming loads.” Last year Hoover commissioned a Household Report to provide an insight into home habits across the nation and opportunities in the appliance market. Steve Macdonald, Marketing Director of the Hoover Candy UK Freestanding Division, says the results highlighted a growing demand for large capacity laundry products. BSH SMALL DOMESTIC APPLIANCES LAUNCHES BOSCH NEXT GENERATION STEAM GENERATOR RANGE The EasyComfort models (Serie 6: TDS6010GB and TDS6040GB) are great for saving time, allowing users to iron all fabrics without adjusting programmes or pre-sorting clothes. The VarioComfort model (Serie 6 TDS6080GB) provides the flexibility of having perfectly adjusted programmes for all fabrics, always delivering expert results. These EasyComfort and VarioComfort steam generators feature Bosch’s most premium, scratch resistant CeraniumGlissée Pro soleplate, SecureLock system that fixes the iron for safe and easy carrying, 1.5L water tank, and the first descaling programme covering the boiler and the iron. 2x more steam. * Super compact, huge tank capacity. *Compared to Braun TexStyle 7 steam iron. EFBE CERAMAGLIDE ARC CORDLESS IRON efbe is pleased to launch the CeramaGlide Arc Cordless Iron into its expanding range. The appliance boasts 2400W of power and a high spec including CeramaGlide ceramic soleplate, antidrip, preset constant steam settings, as well as spray and shot of steam. This model is designed to make the ironing chore easier and can rest in three different positions relative to its base to provide a stable yet ergonomic cordless base. Caple’s WMi2006 fully integrated washing machine oﬀers sixteen programmes including a 30-minute, 30°C wash and an eco 20°C wash. Beko’s 12kg WY124854M washing machine incorporates a Steam Therapy Programme which uses intensive steam to reduce creases by more than 50%. Hoover’s new generation of One Touch washing machines incorporate NFC technology which enables communication between the One Touch app and the appliance via wireless data transfer. Set up is quick and easy, with no internet connection or complicated installation required. Tefal’s Steam Generator Pro Express Total (GV8931) is equipped with Auto Control featuring three preset steaming levels. 6.5 bar pressure delivers powerful steam, up to 400g/min, and an upgraded Anti-Calc Collector provides up to twice as much scale removal. Whirlpool’s Colour 15 technology ensures long-lasting colour preservation and enables ultra-low temperature washes with the cleaning performance of a 40°C cycle at only 15°C. LG’s Centum System™ washing machine incorporates a ﬁxed-tub system that reduces vibration and noise levels. A 12kg load on Cotton Large cycle spinning at 1400rpm is, at 67dB, one of the quietest spin cycles on the market. Miele’s A+++ -30% energy rated WHK121 WPS washing machine beneﬁts from the brand’s latest PowerWash 2.0, which uses a powerful spin and spray system for excellent cleaning results. It also has an Automatic Plus programme that allows cottons and synthetics to be washed together. The open handle is stylish and comfortable, and early indications are that this cordless iron is a winner. The £49.99 suggested price point will please all pockets. Sharp Home Appliances’ A+++ rated 9kg washing machine oﬀers 15 targeted programmes, including the brand’s award-winning Allergy Smart cycle. It also incorporates a StainMaster function that can tackle 22 of the most common stains. Swan’s SI9020TN steam generator has an LED display for easy temperature selection. It oﬀers a 90g per minute steam surge and vertical steaming options. welve years later, the now seasoned entrepreneur proudly states that “the business is going from strength to strength” and he is forthcoming with the numbers to support the statement. When asked what prompted him to take on the responsibility of running a retail business at such a young age, Ben sums it up in one word: “Passion,” he declares. “I wanted to put my own print on it,” he adds. “Dad threw me in at the deep end and it was tough at first, but I worked from there. The whole thing was a learning process really.” And learn he did. Today the business operates from a generously appointed 9,000 sq ft showroom with over 1,000 appliances on display and a warehouse on site. It lays claim to being the largest independent retailer of electrical appliances in Bristol and one of the largest in the country. the ground was actually a challenge that would spur him on to succeed. And it did. He navigated the downturn, not without risks, and took the opportunity of bringing the business into a new era. NEW BLUETOOTH SPEAKERS FROM LG LG Electronics’ new range of Bluetooth speakers is designed to accommodate indoor and outdoor environments, with four models for varying applications. The candle-like PH3 is designed to match any décor, with lights that help to set the mood. The unit has a 10-hour battery life and is available in three colours with five different multicoloured lighting modes. BBC’s national DAB service covering 97% of the population (local BBC DAB services cover 80%), while commercial national DAB services are available to 91% of the population. STELJES AUDIO DIGITAL RADIO RANGE The Steljes Audio digital radio range brings together beautiful design, high tech content and remarkable audio performance at a realistic, affordable price. Two models are available, the SA20 and the SA60. One can access FM, DAB, DAB+ and internet radio (SA60) while also having access and control of Spotify and 1:1 pairing with Bluetooth. Available in three contemporary yet classic finishes, these radios will grace any home. Smart features include multi-room options (SA60), as well as displays showing information such as a song’s title and artist. Excellent sound quality, of course, is a given. Why wait, get one today. NOT ALL DIGITAL RADIO TICK MARKS ARE EQUAL IF YOU’VE SEEN OUR REPORT ON DIGITAL RADIO IN THIS MONTH’S ISSUE, YOU’LL KNOW THAT DIGITAL RADIO SALES HAVE GROWN SIGNIFICANTLY. SOME PEOPLE PUT PART OF THIS DOWN TO THE DIGITAL RADIO TICK MARK. any in the industry welcome the digital radio tick mark, including Jonathan Merricks, VQ’s CEO and creative director, who says: “There is a growing understanding amongst consumers that the digital tick is here and what it means for them in terms of quality, future-ready products.” James Glover, product manager, Sony Audio agrees: “The digital tick campaign is helping retailers up-sell DAB and raising its profile with consumers. We advise our retailers to up-sell DAB as it offers an improved way of listening to radio and has many benefits, including increased signal quality and more detail displayed on the LCD screen.” But not everyone is a fan of the tick mark. Owen Watters, CEO Roberts, says: “The digital tick is not visible at retail and is only carried by a small number of manufacturers, so it hasn’t had any impact at all. Our view has been well documented; once we have a switchover announcement, we should consider a joined-up industry campaign around the tick mark and not before, otherwise it is meaningless and will ultimately confuse the consumer.” Nevertheless, many manufacturers and retailers do welcome the tick mark and anything that helps boost consumer confidence in digital radio and provide some degree of future proofing. Note the phrase, “some degree”, because the tick mark is a moving target, and as digital radio technology advances, so the tick mark specifications will change. It happened last July, when Digital Radio UK (DRUK) introduced an updated version of the Digital Tick specification. The new specs focus on the number of signals digital radios can receive and the display system. In Europe, DAB broadcasts in VHF band III, between 174 and 240MHz. ince 1936 the UK has had five progressive picture definition standards. The latest, called ITU-R HDR-TV BT2100, provides TV producers, distributors and broadcasters with three standards: Full HD, UHD (4K) and 8K, and caters for HDR, see page 26 of the Jan/ Feb issue. Here we are interested in UHD/4K, which affords a pixel count of 3840×2160, four times the resolution of existing Full HD pictures. For the full benefit of UHD, the whole programme chain, from studio to home screen, must be capable of the full bandwidth/bit rate involved. UHD is part of Sky’s Q service, whose other main feature is ‘fluid viewing’, whether on the main living-room screen, in secondary locations around the house, or via a tablet, all achieved wirelessly. In conjunction with Sky broadband, Sky Q boxes provide Wi-Fi hotspots in their vicinity. There are three kinds of Q box; only the Sky Q Silver type is capable of UHD operation. There is not, initially, a dedicated channel for UHD. Instead these very high definition programmes are distributed amongst existing ones and available to select with suitable equipment. Content is primarily sport (with football strongly featured), movies, documentaries, natural history and drama. HDR is not featured in this first phase of UHD broadcasting – it will come later, as will an expanded line-up of programmes and features. Freesat is a potential carrier of UHD content but it is unlikely to feature on terrestrial TV (Freeview) in the foreseeable future due to its very high bit rate (hence bandwidth) demand. Fibreto-the-home has excellent UHD capability. UHD is available at no extra charge to existing Sky Q Silver customers. For new subscribers the cost is £56 per month plus £99 installation fee; in addition the package needs to include Sky Sports and Sky Cinema to receive UHD programmes in those categories. The upgrading tariff is somewhat complex for those who already watch Sky TV, but personalised quotes are available on the Sky website. The boxes are rented from Sky. It’s been calculated that about 6% of the UK population already have UHD TV sets, but not all of these will be capable of resolving UHD broadcast programmes, see below. year or so; earlier models are mostly fitted for HDMIv1.4, not suitable for this operation. The TV’s software needs to be fully up to date and will probably need reprogramming as the technology progresses. TV manufacturers can advise on this and provide new software as it becomes available to accommodate developments and new features and benefits – and to iron out the bugs that sometimes arise. UHD TV sets generally have the required capability on one, sometimes two, of their several HDMI sockets, so the satellite box needs to be plugged into the right one: e.g. on LG, Panasonic, Samsung and Sony TVs, the latter being amenable on HDMI ports 1 and 2. Intermediate equipment in the HDMI chain, generally audio gear, may not be capable of passing UHD datastreams, necessitating a direct cable link between the TV and the Sky Silver box, and perhaps a new ‘fast’ one may be needed. The LNB may need to be replaced, along with the dish if it’s physically incompatible with that. The advent of UHD broadcasting is momentous, and it will grow from its present niche market, albeit inhibited by the cost of its hardware and programme subscriptions. It’s good to be able to say to a prospective customer that it’s now available from broadcasts via an existing dish and from multiple sites on the internet. Ofcom has predicted that 30 UHD channels could be available in the UK by 2025, while satellite programmecarrier Astra (already handling 26 UHD channels worldwide) expects more. All good for the retail trade! How to receive your free copy with If you have an account receive us you will automatically orders our new catalogue with tember placed from the 8th Sep onwards. Available on a range of TVs and recorders from Humax, LG, Panasonic and Vestel The Freeview service and channels are subject to coverage and may be changed from time to time. Minimum broadband speed of 2mbps required for catch up and on demand services. 7-day catch up for selected channels. Aerial upgrade may be required. LG Smart TV scroll back TV guide available later in 2016 by software update.